RENO, Nev. – Top Notch Distributors, Inc., a national supplier of architectural locksets and hardware for residential and commercial buildings with offices in Carson City, Missouri and Massachusetts, has completed the addition of 33,000 square feet of warehouse space in its Northern Nevada operation. Carson City-based Shaheen Beauchamp Builders LLC served as the general contractor on the project, which doubled the company’s footprint in Nevada. The company established its Nevada distribution center in 1987 with three employees. Today, after several expansions, Top Notch employs more than 40 people in sales, supply chain operations and warehousing in its Carson City location on Research Way. Chuck Jurgensen, chief executive officer for Top Notch Distributors, Inc. said the latest expansion project was completed without any disruptions in day to day operations. Jurgensen said the company chose Carson City because of its size and location, and has worked with Shaheen Beauchamp Builders for each of its expansion projects. The design for the project was completed by Frame Architecture, Gabbart & Woods Structural Engineers and Alexander Heating & Air out of Reno; and Lumos & Associates, Inc., and AM Smith Electric, Inc. based in Carson City. 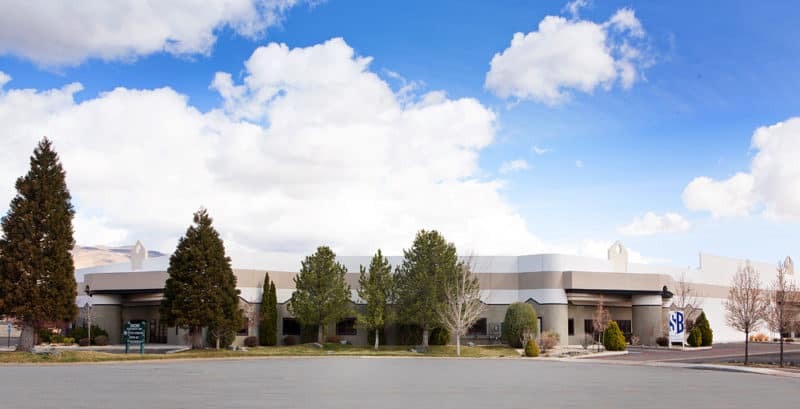 Photo cutline: Top Notch Distributors, Inc. recently completed a 33,000-square foot expansion to its Carson City location on Research Way, making it the company’s largest operation at over 60,000 square feet and 40 employees. Battle Mountain Hospital, Carson Urologists, the Fernley Nugget Casino and 777 Center in Midtown Reno. For more information, visit www.sbbuilders.com or call (775) 885-2294.